The capital of the state of Arizona as well as the most populous city in the American Southwest and sixth largest city in the United States. Founded in 1871, it has become the region's primary political, cultural, economic, and transportation center. At an elevation of 1100 ft., it is situated in the biologically unique Sonoran Desert. 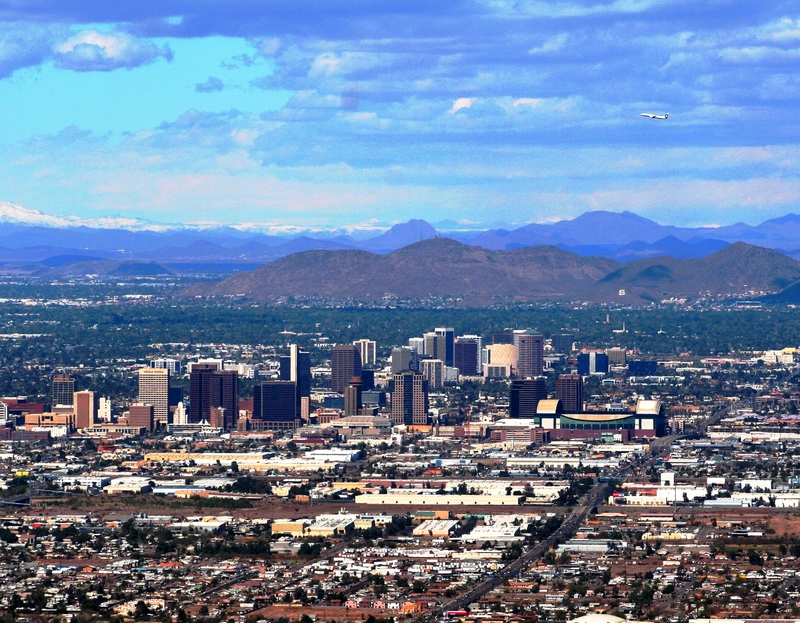 Over time it has merged with the neighboring cities of Scottsdale, Tempe, Glendale, Peoria, Chandler, and Gilbert to form the Greater Phoenix Metropolitan Area. Currently exurbs such as Apache Junction, Fountain Hills, Queen Creek, and Sun City are becoming part of this metropolitan area as well. The area has now well over 4 million people living there. As one would expect of a city in the southwest, Phoenix restaurants offer wonderful southwestern, Latino, and Mexican cuisine. But Phoenix also offers a good selection of other cuisine, including eastern cuisine such as Thai, Vietnamese, and Japanese, as well as the cuisine of many other cultures. If interests turn more to the evening nightclub scene, Phoenix offers everything from brew pubs, to sports bars, dance clubs, and country. If you're interested in Phoenix, please email your resum� with an introductory letter to to Dayna Lynn at dlynn@fsgltd.com or fill out the form below.